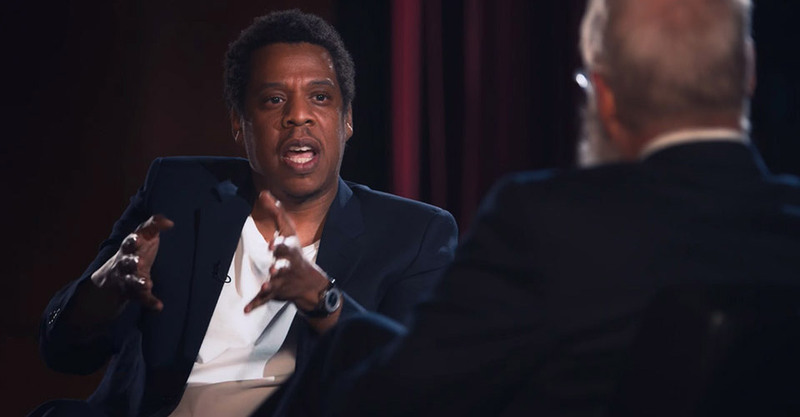 #JayZ recently took the time to chat with #DavidLetterman on his Netflix show ‘My Next Guest Needs No Introduction.’ The rapper opened up about how at one point after he had cheated on his wife #Beyoncé, he was shook, because he really thought that his family would be broken up. He went on to reference his 2001 song “Song Cry” which became a way for him to express that he wanted to be more open especially if that meant it would keep his family together. “The idea of I will never, can’t see it coming down my eyes, but I’ve gotta make the song cry, is my way of saying I want to cry, I want to be open, I want to have the emotional tools that it takes to keep my family together,” Jay-Z tells Letterman. With that being said, I’m even more pressed for #OTRII now! !